Besides reducing Parliament’s size from 751 to 705 elected representatives, a proposed re-distribution of seats, approved by the Parliament as a whole on Wednesday, would also place 46 of the 73 UK seats to be freed up by Brexit in a reserve. Some or all of the 46 seats in the reserve could then be reallocated to new countries joining the EU or preserved to keep the institution smaller. The remaining 27 British seats should be re-distributed among the 14 EU countries that are slightly under-represented, to even out current inequalities in their representation in the House, say MEPs. They also stress that this allocation would apply only if the UK actually leaves the EU. Otherwise the current arrangements would stay in place until further notice. A proposal by the Constitutional Affairs Committee calling for a number of MEPs to be elected from an EU-wide electoral constituency, was rejected by the full House. The proposal for a European Council decision was approved on Wednesday by 431 votes to 182 with 61 abstentions. Co-rapporteur Pedro Silva Pereira (S&D, PT) said “This vote is an important step forward for European democracy. The new allocation of seats means that we will reduce the overall number of MEPs from 751 to 705 while ensuring no loss of seats for any member state. Currently under-represented countries will get 27 of the 73 UK seats available after the UK leaves the EU. This will make the European Parliament a fairer reflection of the citizens it represents”. Now that this legislative initiative has been approved by the full House, it will be put to the European Council (EU heads of state or government) for a unanimous decision, and then returned to Parliament for a final yes/no vote. 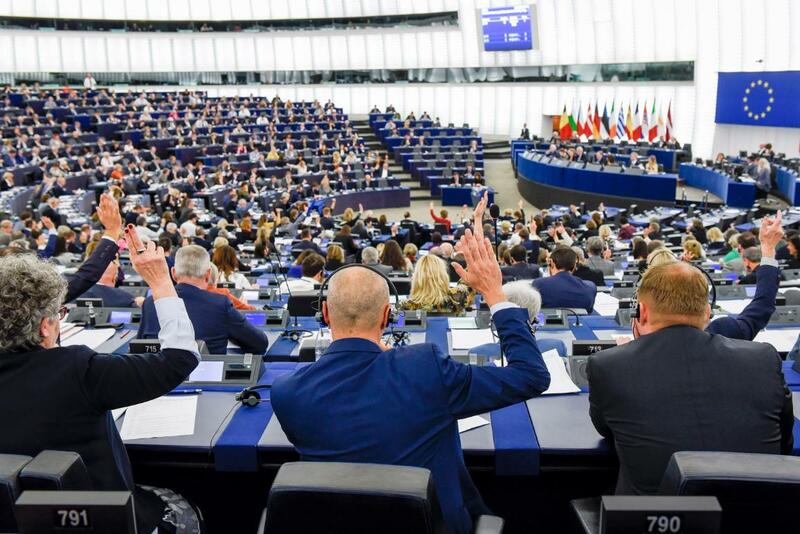 The composition of the European Parliament for 2019-2024 is one of the topics expected to be debated by EU leaders during the informal EU summit later in February. According to Article 14(2) of the Treaty on European Union, the number of Members of the European Parliament cannot exceed 750, plus the President. It also requires representation to be “degressively proportional”, with a minimum threshold of 6 members per member state, and states that no member state is to be allocated more than 96 seats. the population/seats ratio shall increase as population increases, before rounding to whole numbers.